Like the first one, Friend to the Rescue has three episodes on it. The story is how a real girl, Mia, who has lost her parents and is at a boarding school in Florence, Italy, goes into a game. In the game she becomes an elf (but looks like a fairy to us). I love the fact that she complains that her elf dress is too short. In this game she has to help the prince of Centopia and other elves save the unicorns which are needed to keep Centopia alive. Each time Mia comes to Centopia her password changes. She has to translate the new password from the book, Centopia, which her father read to her as a young child. The passwords are oracles and give a hint as to what will happen or need to happen in that episode. In this DVD the viewer sees the birth of a unicorn and the death of a close friend. Throughout the DVD friends need to help each other and work together. At times Hazel gets a bit scared of the bad characters, but she really loves the show. 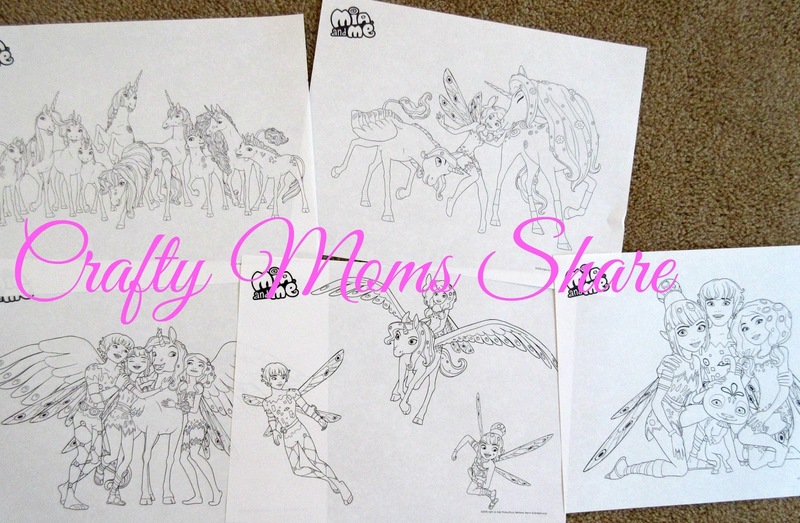 The DVD extras are similar to the first with eight coloring pages. 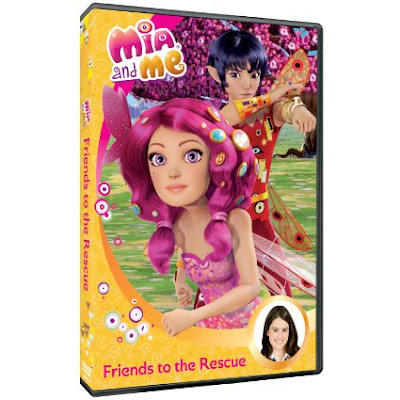 I hope you will check out Mia and Me: Friends to the Rescue and enjoy it as much as we have!